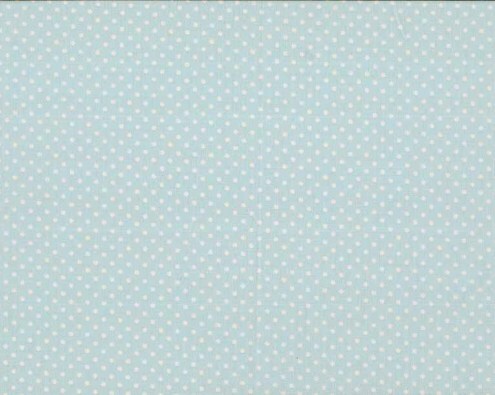 White Polka dot pattern on a pale blue background, dots are approximately 3mm diameter, 100% cotton from the Makower cotton collection. 112cm / 44" Width, this fabric weighs approximately 150gsm. Multiples of a size will be cut as one piece unless requested otherwise. 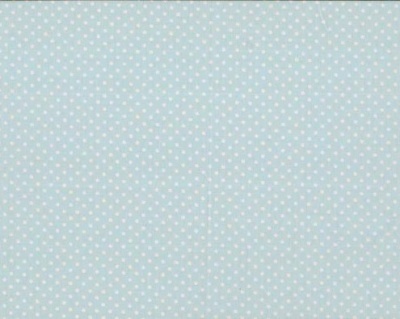 I'm using this fabric in a quilt and realised I didn't have enough. Searched on the internet and found Rooftop. So pleased. 5* service. It came so quickly. Neatly packed. Definitely would use again.